These alternative traverses can be carried out on foot. 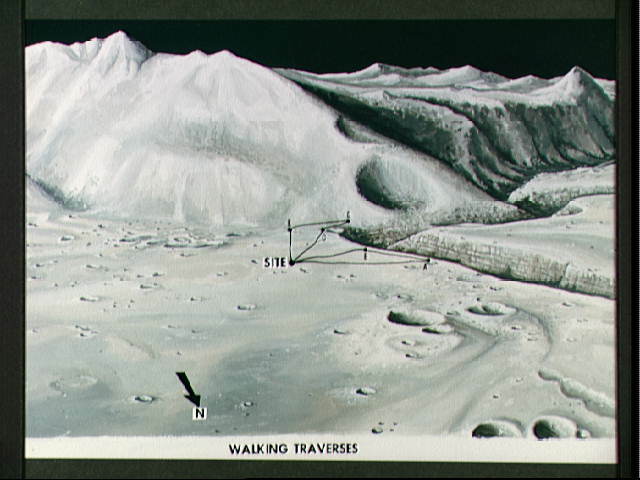 They will be used if the Lunar Roving Vehicle (LRV) becomes inoperative. Art work by Jerry Elmore.